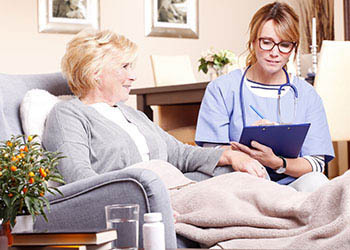 The medication aide course consists of the 6-hour Prepare to Care Core education, 40-42 hours of classroom work, 10-20 hours of clinical at the work place supervised by Iowa RN, and the state final written exam with 80% or better score. The purpose of this course is to prepare individuals to safely administer nonparenteral medications in agencies/facilities licensed by DIA. The emphasis is on safe administration and students are provided with classroom, laboratory and clinical experiences to assist in achieving the course competencies. Course Pre-requisites include: the student must be drug free, working in an agency/facility licensed by DIA. If employed in a certified nursing facility you must be employed for at least 6 months and be sponsored by the facility. If employed in a residential or related type of agency licensed by DIA you must provide a letter of recommendation from the administrator in the facility in which you are employed. All participants must satisfactorily complete the Prepare to Care Core (6 hour) module prior to progressing onto the Medication Aide course. The Core course will be the first 6 hours of class. At the time of enrollment each student must identify the RN who will supervise the validation of competencies in the clinical area. Students must purchase and bring to class with them the text book Mosby's Textbook for Medication Assistants, by Sorrentino & Remmert ISBN #978-0-323-04687-9. All pre-requisites must accompany the registration. This class includes the state exam.